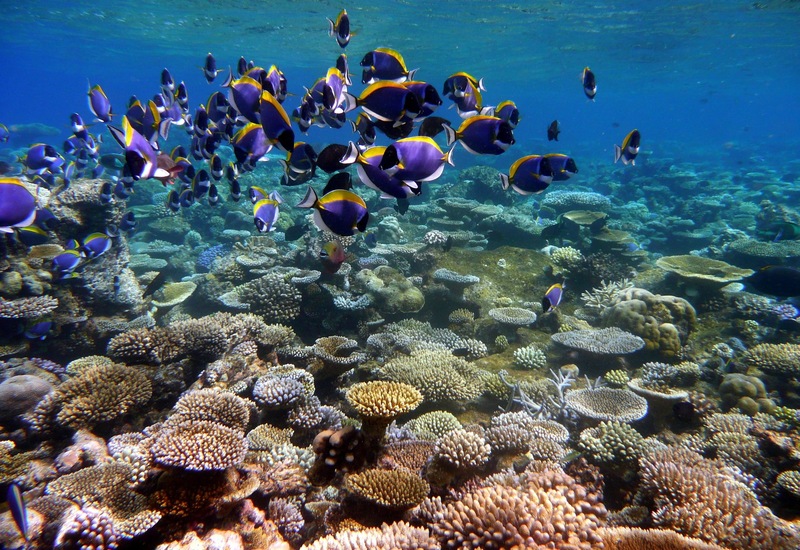 After the success of Koh Tao’s Restoration Project, Save Coral Reefs is willing to carry out an Expansion Project in Haad Sai Daeng Bay. 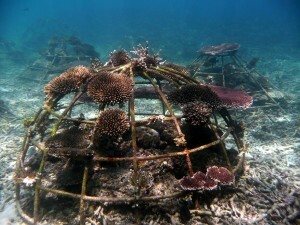 The more artificial reefs there are the more efficient will be the coral propagation and fish increase. The Expansion Project will assure the local economy and sustain marine biodiversity. 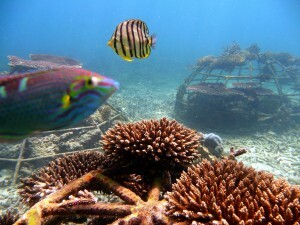 You should know that, the greater an artificial reef is, the more important will be the amount of fish refuges. 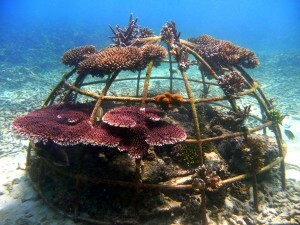 Therefore, the more effective will be the artificial reef towards its environment. Fully aware of this natural law, our wish is to expand the existing Coral Park to revitalize the entire Haad Sai Daeng Bay (see Part: draft completed). We estimated that for the Coral Park to have a significant impact in terms of increased biomass and local biodiversity, over a hundred metal structures should be implemented across the Haad Sai Daeng Bay. Since this bay was ranked as a Marine Protected Area, once produced, this set will be a reef sanctuary for marine life. 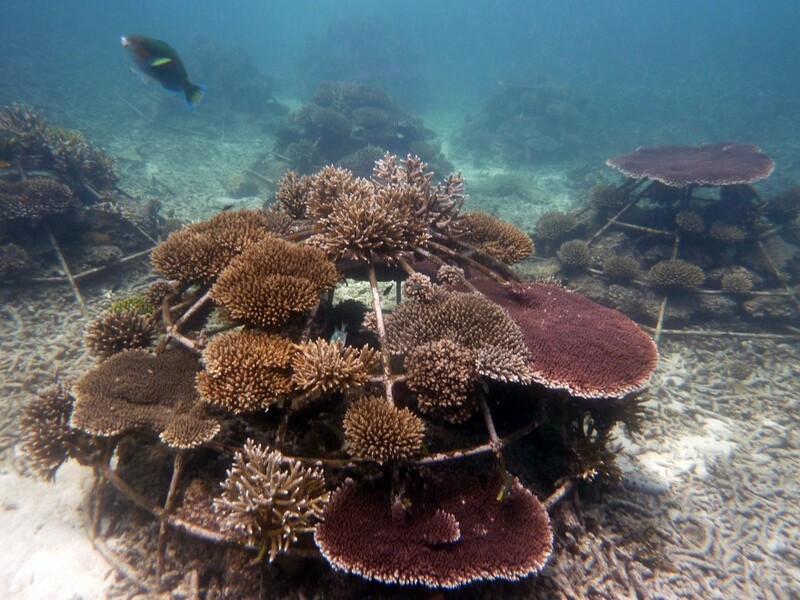 If no change in local governance or natural disaster takes place, a 100 structures of metal and 30 tons of rock structures are sufficient to recreate a true coral reef ecosystem in the Haad Sai Daeng Bay. 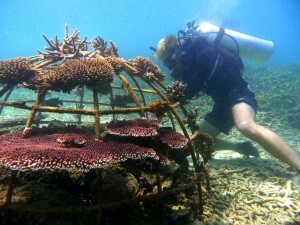 - May in the future ease human pressure on surrounding natural reefs while educating visitors about the rules to follow when swimming over a coral reef that may be natural or artificial. 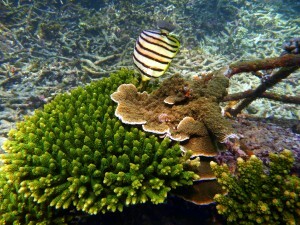 To launch the Expansion of Koh Tao Coral Park Project, Save Coral Reefs needs you!!!  If you want to take part in this sustainable and ambitious challenge, Become a Member of the Save Coral Reefs organization. You will be able to help us by Volunteering and/or Donating for the Project!